Michael’s hologram performing on the Billboard Music Awards. 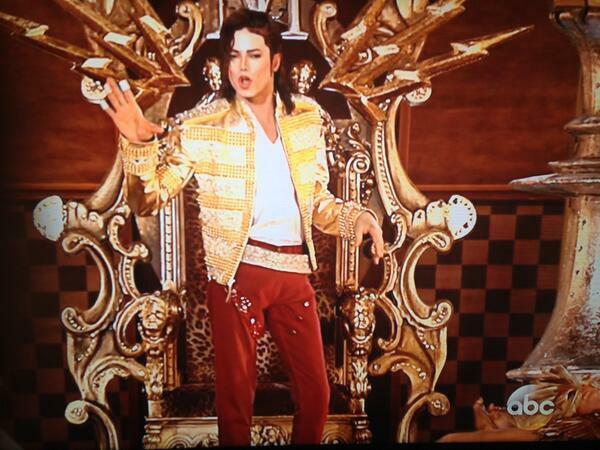 Did you see the Michael Jackson hologram perform on the Billboard Music Awards a few weeks ago? Sounds like now they are thinking about taking the hologram out to do worldwide concerts. However, I will not be one going to see it. Why? Well, first off, let me explain a few things. I am a HUGE Michael Jackson fan and have been since I was little. He was probably one of my first Aspie obsessions, after Sesame Street and My Little Pony. I love many things about him. His voice, his unique sense of style, his love for children and child-like things, his desire for world peace and harmony, his generous and charitable heart, his incredible dancing, his drawings and writings…and lots more. Now, that does not mean I am blind to his flaws as well. He could be immature and did seem to lack common sense in many areas. He definitely lacked some idea of correct boundaries and what was socially acceptable. He was stubborn and didn’t want to listen to reason sometimes. Many have hypothesized that he may have had Asperger’s Syndrome. I tend to agree. He definitely had the obsessive interests, “eccentric” behaviors, the social awkwardness, extreme loneliness, the emotional immaturity and naivety, the habit of stimming when nervous (like in interviews), the tendency to make friends with those much younger or older rather than his own age group and the savant talents that some Aspies are said to have. Personally, I do not believe he was a child molester, but that is another subject entirely. Anyhow, now that I have explained my feelings about Michael, let’s get back to the hologram. Why would I not want to see Michael Jackson’s hologram concert? After all, it might be my only chance to ever see him “live”…however, that is the problem. It would not be “live”. No matter how great technology is, it can never bring back the essence of someone who has gone. Yeah, they can mimic his old movements and expressions, but it will always lack the magic that he could create on stage. There will be no new creativity. No new moves. No improvisation. There will be no growth as an artist and person. The very thing that made Michael who he was would be lacking. I know that many people want to bring great musicians back to life. I wouldn’t be surprised if soon there were Elvis Presley, John Lennon, Jimi Hendrix, Freddie Mercury and other famous holograms giving concerts. However, I feel that in a sense we should feel a loss when the truly talented die. Rather than trying to recreate them electronically, we should treasure what they left behind and introduce that to the next generation. We should realize that truly exceptional talents don’t come around everyday and that they aren’t so easily replaced. Doesn’t it seem likely that Michael (or any of the other great performers who died too young) would rather be remembered and sincerely missed than to be artificially recreated?